2012 was a big year for Apple with the release of the iPhone 5, iPad Mini, iOS 6 and the introduction of the retina display for the MacBook Pro and iPad. All signs are pointing to 2013 being just as big for Apple, with Piper Jaffray analyst Gene Munster predicting a number of big product updates and new releases – including the much-rumored Apple TV. So what can we expect so see from Apple in 2013? 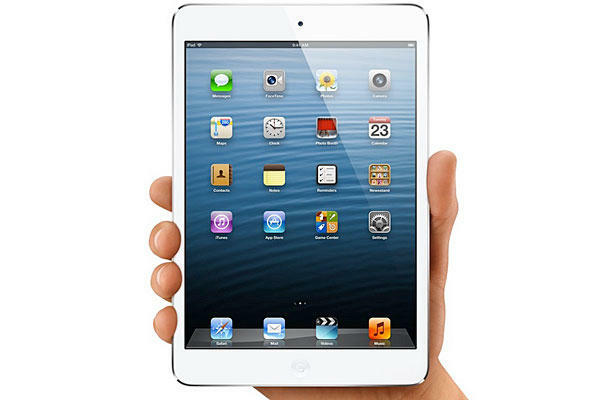 According to Munster, March 2013 will see the introduction of an iPad Mini equipped with a Retina display as well as an update to the existing Apple TV box that will allow developers to create apps for the big screen. The annual Apple Worldwide Developers Conference (WWDC) in June will bring the first previews of iOS 7 and the latest iteration of the Mac OSX operating system. Munster has also predicted that it is around June that we will first start to see the influence of Jony Ive in iOS. Ive was recently put in charge of interface design in addition to his role as the head of industrial design at Apple. The first Retina display equipped MacBook Airs should also appear around June 2013, according to the report. Around September next year, Munster says we should expect to see the iPhone 5S, which will represent a “modest upgrade” in capabilities. In late 2013 we should also expect to see a minor upgrade in specs for the iPad Mini as well as a new iPad, which will be redesigned with a thinner bezel to more closely resemble the iPad Mini. The final product launch for Apple in 2013, and possibly the biggest, will be the release of the Apple TV which Munster predicts will come out next November. The Apple TV will range in price from $1500 to $2000 and will come in several sizes, from 42 to 55 inches. Recent reports that had suggested that the Apple TV release date was “imminent” were quickly met with skepticism, with other analysts echoing the 2013 launch timeline. The Apple Cinema Display / Apple Thunderbolt Display and the Mac Pro are also overdue for an upgrade, with a refresh likely for both products early in 2013. Which new or updated products do you think we’ll see from Apple in 2013? Let us know in the comments.